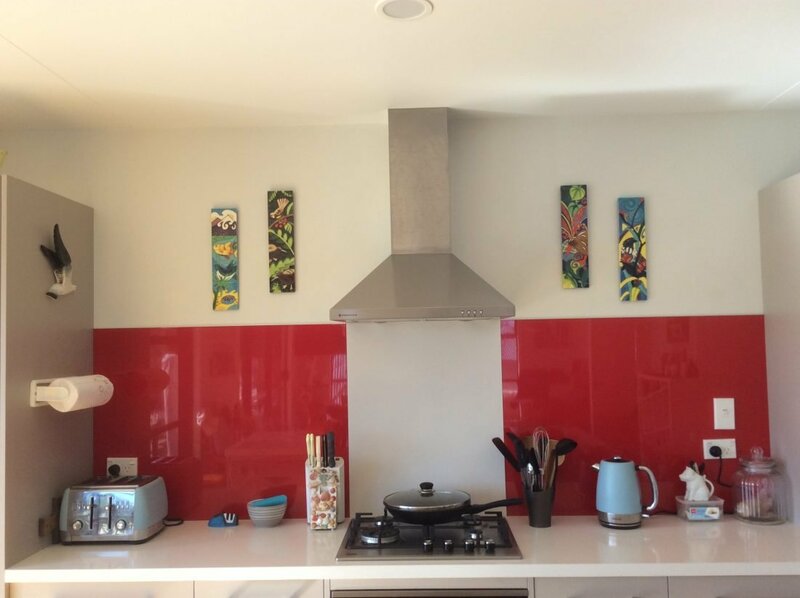 We decided to use Reflection Splashbacks behind our stovetop as it was affordable, we could install it ourselves and we were able to get samples which alleviated any skepticism about the product. If it had been a similar price as glass we would have gone with the glass option – only because the glass gives a bit more depth with the colour being behind the glass. We were really impressed with the quick and friendly service from your company. 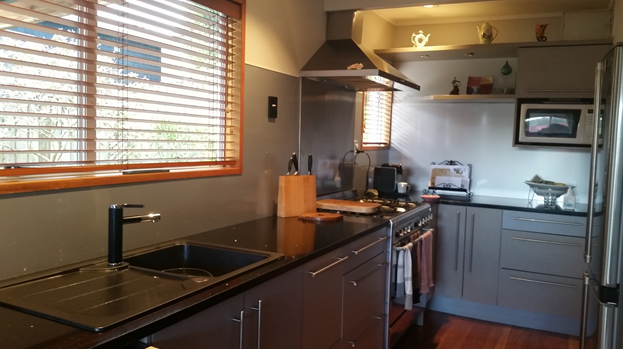 After some small adjustments our splashback is all installed and looking great – pictures below! We had a small issue with the measurements, but all ended up okay as the board is very easy to cut and work with to get it to fit. 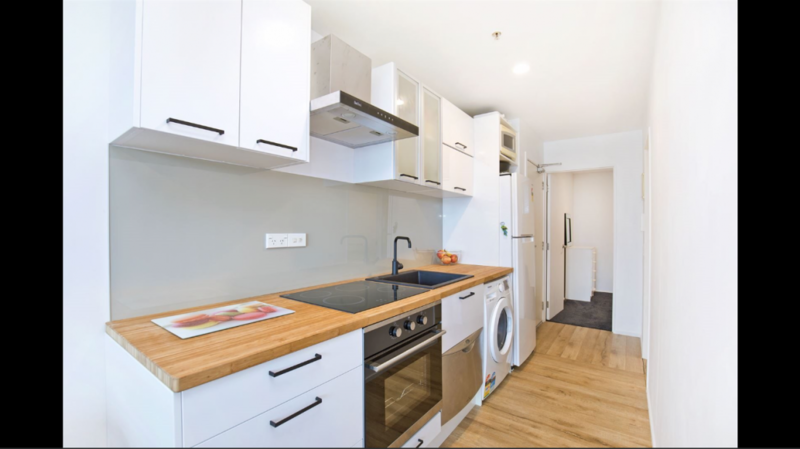 I recommend this product to others who are looking at renovating their kitchen – we are pretty proud of how it’s ended up as our first DIY based renovation! 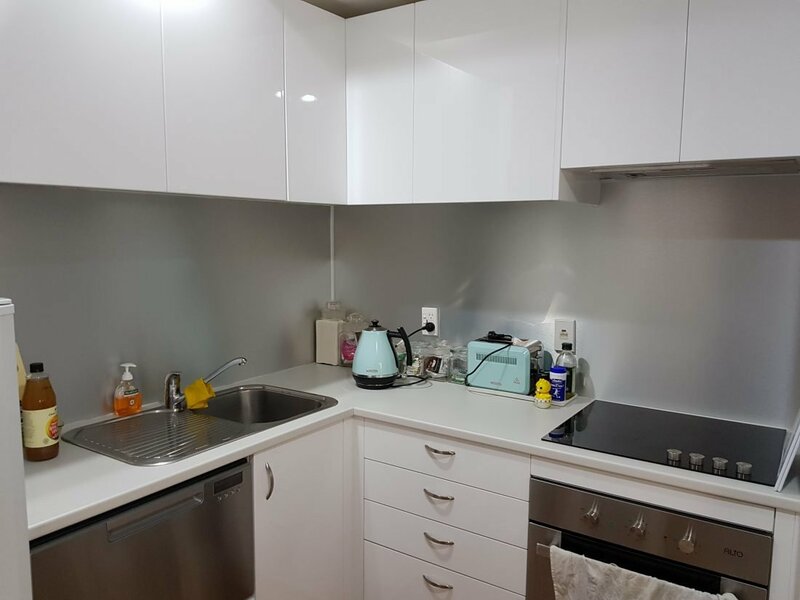 I was not skeptical about purchasing my Reflections Splashback as I understood the product after reviewing product online and discussing with Simon. My choice of this product was both promoted by colour range and value for money. I have found the splashback easy to clean; whilst protecting the wall it also enhances the kitchen area. Finally I have no hesitation in recommending your splashback to prospective buyers. 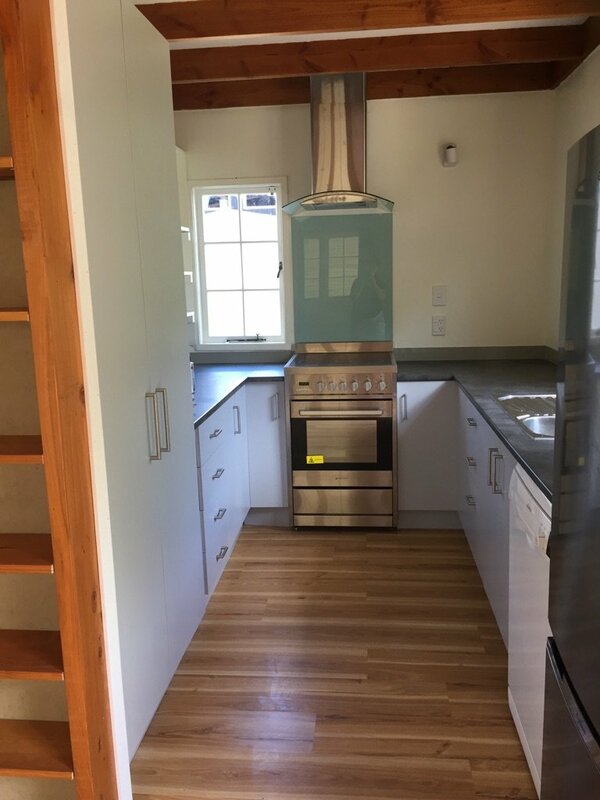 Upon my wife and I researching options online to renovate our kitchen, we decided to use Reflection Splashbacks as It was cheaper than glass and could go behind stove top as opposed to acrylic. I found it really easy to install, the ‘how to’ videos were great. The product cut super easy with a circular saw/jigsaw. We were very impressed by the products delivery time and quality of packaging. I would recommend Reflection Splashbacks to anyone, especially DIYers. I had no preconceived ideas about the product before ordering. I decided to use Reflections’ Splashbacks due to the cost of product compared with alternate options. Also the ability to install myself from a DIY point of view (after viewing videos). The benefits of using Reflections were the cost & satisfaction of being able to install myself. The installation videos made it looked easy to install with basic DIY skills & my installation went exactly to plan. I suppose the only negative was the damage during transit which I realise is out of your control & you did offer to replace if I had needed to. I was originally unsure about purchasing a Reflections Splashback because it was not very well known to me. I decided to purchase a splashback because of the price and ease to fix. I have found the timing and service excellent in regards to the product. I recommend Reflections splashbacks to anyone looking, it’s price is competitive to any other splashback. Looks great in our bathroom and incredibly easy to clean! The Reflections Splashback panel was exactly what we needed to finish off our bathroom. It looks great and is incredibly easy to clean! We recommend this product to everybody! We will soon be ordering another panel to finish off our kitchen renovations too! As a self confessed basic DIYer I was unsure of purchasing a Reflections splashback as I am always unsure when using a new product. However, the samples looked great and were a reasonable price for what I wanted. The kitchen now looks FANTASTIC. 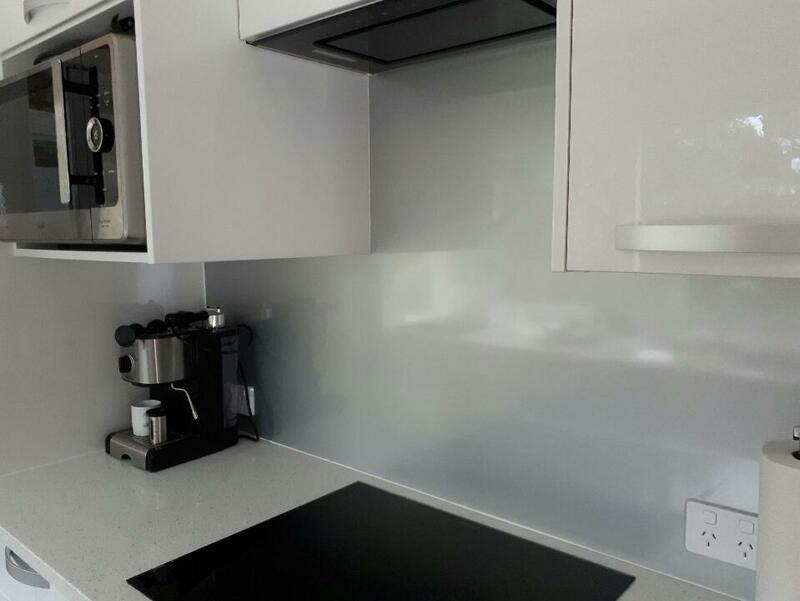 I would recommend the Reflections Splashbacks as they are easy to deal with and easy to put up! 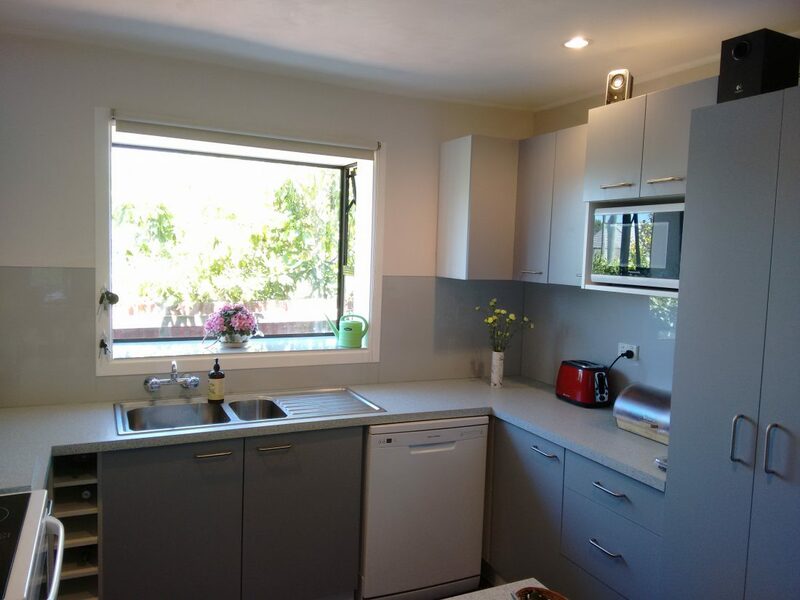 Our Reflections Splashback transformed our outdated kitchen into a stylish modern space, and for a lot less money than we first considered possible. The panels were cut to size and freighted to our home – however, we found that one of the panels had suffered some damage in transit. I called Simon and his team at Reflections and nothing was a problem – they had a replacement on the way within a day and that turned up in perfect condition. We carried out the installation ourselves and everything fitted as we had hoped. My husband was surprised at how easy it was and didn’t complain at all!